Sofia Locks is a user oriented company that provides solutions for smart access control. We design and develop flexible applications for remote access management tailored for industries such as hotels and B&B, or shared business structures. In partnership with ISEO, Sofia Locks presents a set of software and hardware solutions that are easy to take up, convenient to maintain and flexible to use. Moving from traditional mechanical keys to smart access control is a strategic choice for business toward growth and enhanced security. 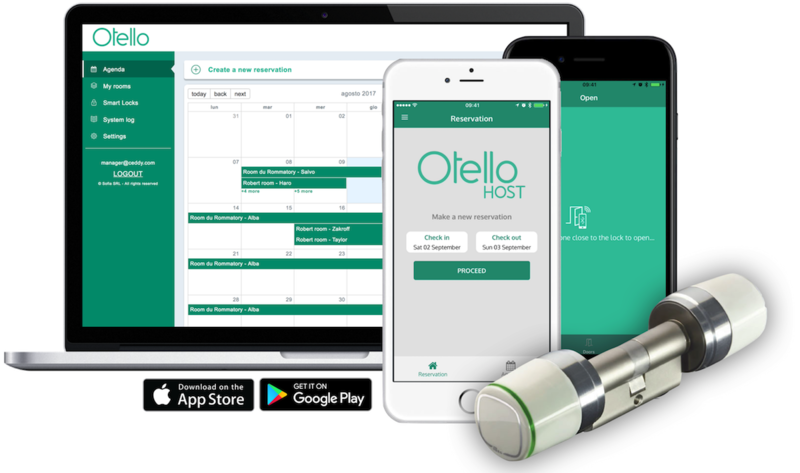 With Sofia Locks solutions the host entirely controls virtual keys from remote, and lends them to the users over their own smartphone over lightweight and easy-to-use Apps. Virtual keys are solidly stored in the secure cloud, their usage over the property is tracked and they can be remotely modified or deleted by the manager instantly and at any time. Our systems conveniently integrate traditional badges alongside virtual keys, with comparable functionalities according to badges specifics. 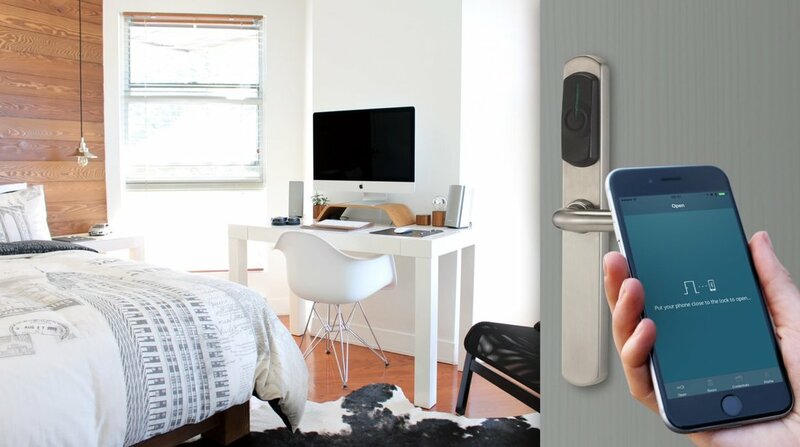 Sofia Locks solutions connect smart-locks and smartphones, this means that none other hardware is needed for a fully functional access control system. Users need nothing more than their own smartphone to receive and use virtual keys. Likewise, the Manager App is the only tool a manager needs to be in full control of any structure, from any device or on the cloud. Sofia Locks solutions makes it easy to manage large number of occasional or returning visitors in need of a complex mix of permissions for different rooms, or shared areas. For further information about our products visit this link. Solutions for hotels, B&B, Airbnb, available at this link. Solutions for coworking spaces available at this link.